GoodFirms covers the leaders providing software for banking, loan servicing & fraud detection considering diverse research methods. WASHINGTON , WASHINGTON DC, UNITED STATES, April 9, 2019 /EINPresswire.com/ -- In this digitalised world; many entrepreneurs are utilising n number of different software which helps them to work proficiently and enhance productivity. One of the most popular software implemented by online business owners is the banking system. Therefore, GoodFirms has disclosed the catalogue of Best Banking Software vendors based on several qualitative and quantitative metrics to assist the service seekers in choosing the excellent system for their business. Banking Software is a tool that standardises the process of performing small transactions from any branch of your bank effortlessly and without any lengthy process and extra charges. This software has streamlined the procedure of making payment through banks when purchased any product or service online. In the banking sector, you can come through numerous other tools that help the banks to derive many perks such as better profitability, customer experience compliance adherence and much more. Today, banks are also adopting loan management system software. Within this software, the banks can keep the record of every type of loan they have given to the customers as well as share the particular data belonging to the patron. The loan software keeps updated to the bank and the person who has taken the loan about the procedures, payments, etc. If you are finance company are looking forward to implementing this system, take a look at the list of Best Loan Servicing Software vendors cultivated by GoodFirms for their reliability and ability to provide an optimal solution to their customers. Washington based GoodFirms, is acknowledged globally as a B2B research, ratings and reviews platform. It evaluates and lists the most excellent firms from various sectors and across the world to connect the service seekers with the best partner. The research team of GoodFirms performs a scrupulous assessment following three main measures that are Quality, Reliability, and Ability. Further, these factors are divided into sub-categories such as to determine the complete portfolio of each company, years of experience in their proficiency, online presence, and client feedback. After assessing the agencies with the above statistic, they are compared with each other and allot them the scores out of total 60. Thus, according to this, the firms are indexed in the list of top development companies, best software providers, and diverse range of agencies from different industries. GoodFirms has also created the list of Best Fraud Detection Software that prevents from any fraud transactions and to enhance online banking. Moreover, GoodFirms prop up the service providers by asking them to participate in the research process. By providing the evidence of their ability to proffer successful solutions to their customers, get a chance to get listed in brilliant companies as per their expertise area. Getting listed at GoodFirms will enhance your visibility to attract targeted customers globally. 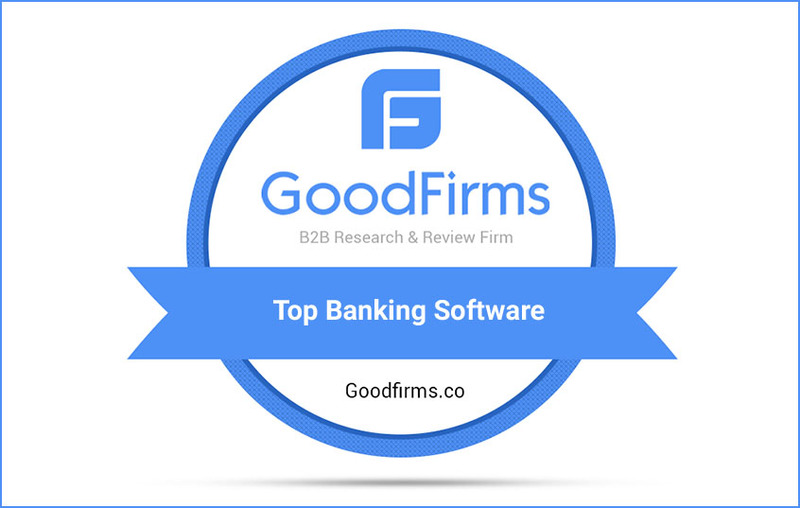 GoodFirms is a Washington, D.C. based research firm that aligns its efforts in identifying the most prominent and efficient banking software that deliver results to their clients. GoodFirms research is a confluence of new age consumer reference processes and conventional industry-wide review & rankings that help service seekers leap further and multiply their industry-wide value and credibility.